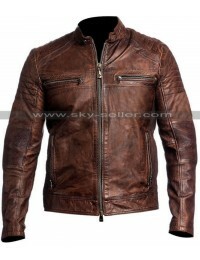 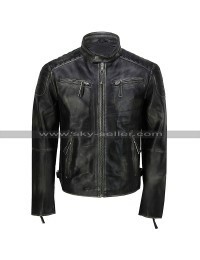 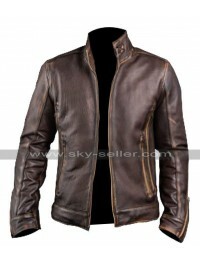 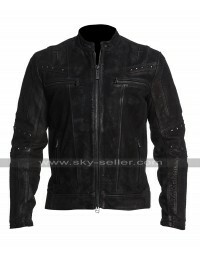 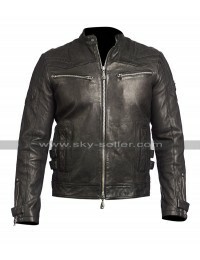 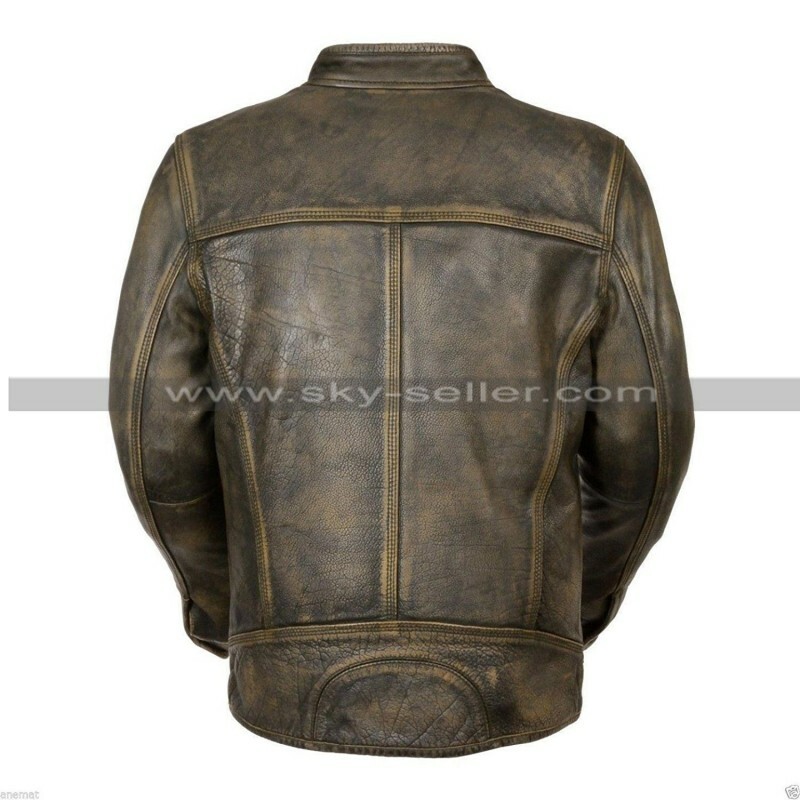 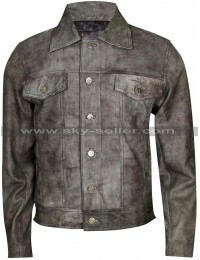 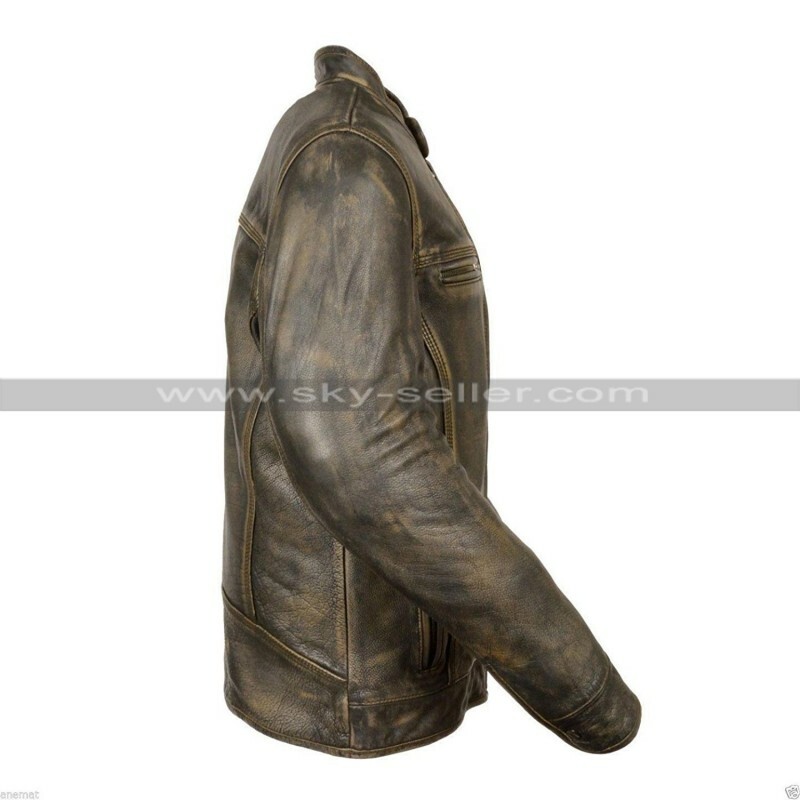 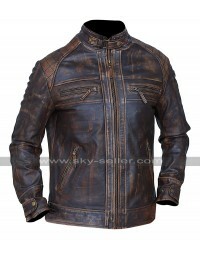 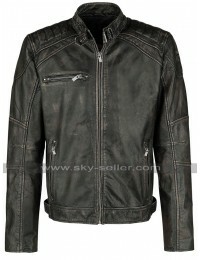 Distressed leather jackets are always the best choice to go for and when combined with being a celebrity clothing these jackets do a great justice in all aspects when it comes to looking for something differed and stylish this beauty could do justice in all regards. 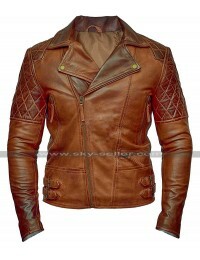 The color featured in the making is also distressed brown is also something outclass and stylish, moreover, when it comes to the front there is a zipper closure and there are four pockets too which comprise being associated with a zipper closure. 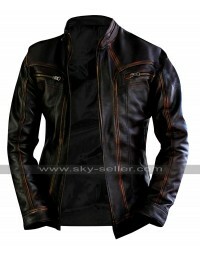 The inner of this jacket has a viscose lining which keeps comfortable and the sleeves being in full length give full coverage. 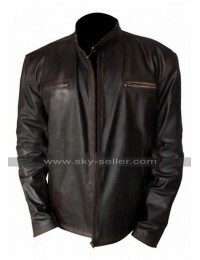 The front and back of this jacket come in plain outlook and the rounded collar with a buttoned closure is also something that calls for being a great deal. 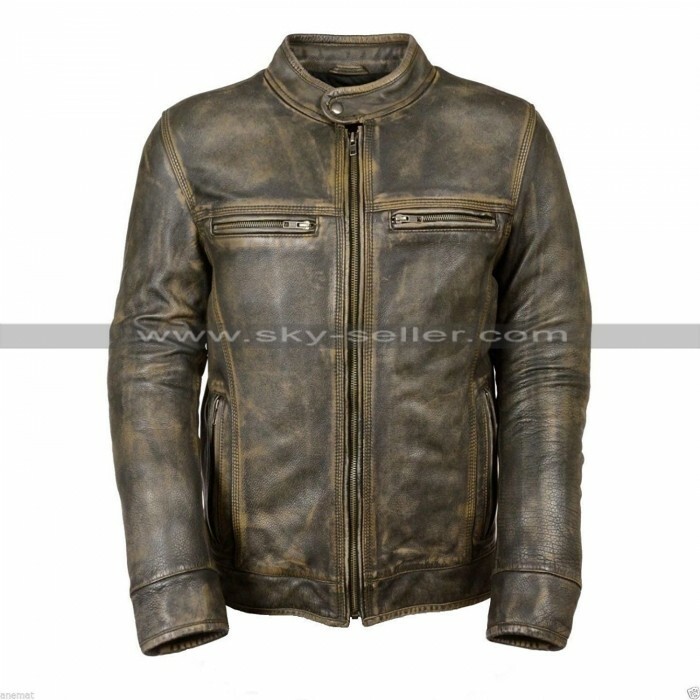 The best part is that this jacket may easily be worn on casual occasions as well as formal occasions and there is a wide variation of sizes available as well.